Joubert-Tradauw Wingerde en Kelder, in the beautiful Tradouw Valley, just before Barrydale on the R62 route, hosts unique weddings in the beautiful ambience of the al fresco deli and boutique cellar. Pre-drinks and finger platters are served in the cellar or on the island outside the cellar. A cash bar and chill area are set up in the wooden shed. A Bedouin tent covers the area between the stone cellar and wooden shed, serving as an entertainment and dance area … all with a constant and beautiful view of the majestic Langeberge, green fields and the magic of Tradouw Valley. 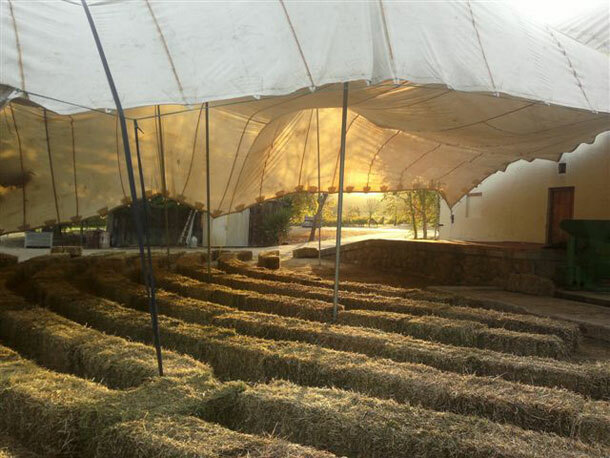 A bedouin tent (choose from a possible eight options, size and colour of your choice, hired from us, included in your cost pp), flowers, cake etc can be arranged on your behalf from local people in the valley (names given) or your choice from elsewhere. A beautiful, historic church is available in Barrydale. Finger snacks on platters beforehand on the island at deli al-fresco with pre-drinks and then to the wedding area to wait for bride and groom to arrive. Good, safe parking with security and the ambience of a small, cosy boutique cellar in the magic Tradouw Valley, Klein Karoo. A cash bar is run by Joubert-Tradauw (Joubert-Tradauw wines, Unplugged62 pouches 1.5 litres etc). You can tick off a list of items you need and we supply and sell it. Only two Joubert-Tradauw ranges of wines are permitted and given at discounted prices and any wines brought in from another Estate, are permitted but only 50% and with a corkage fee allowed. Example: Cap Classique of your choice, also ordered by us or better price suggested of a local Cap Classique. And you’ll want to overnight in Barrydale so you can party into the night! 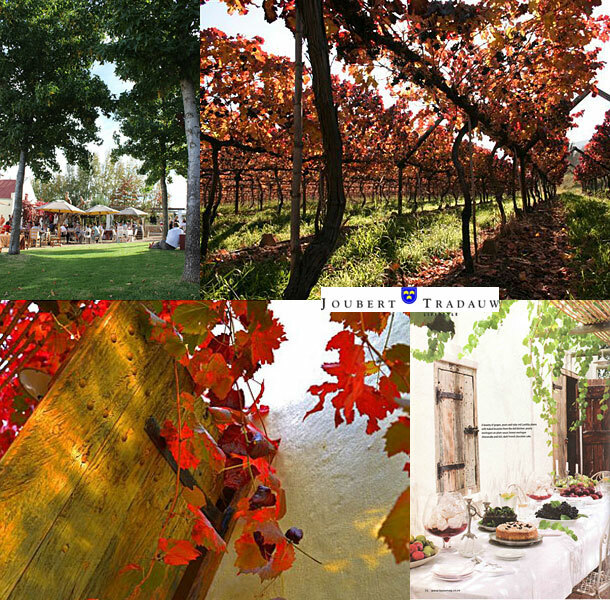 To book this gorgeous venue visit Joubert-Tradauw Wingerde en Kelder.